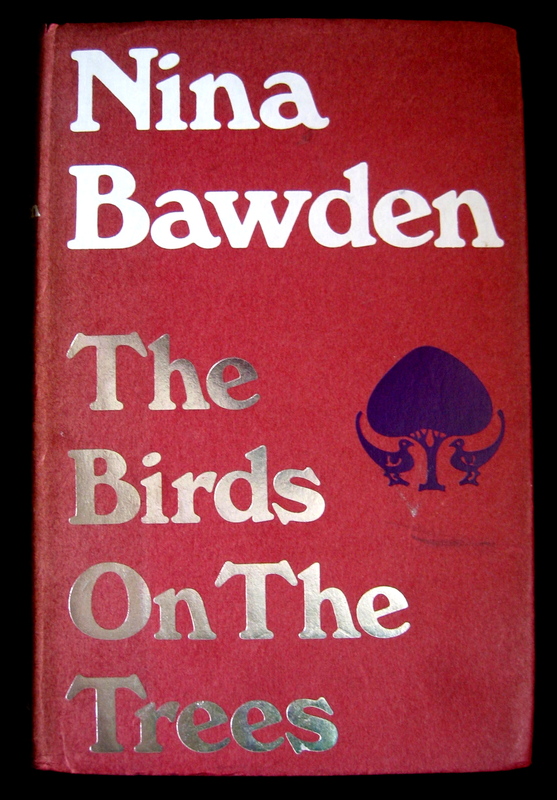 I took this photograph of Nina Bawden’s copy of the first edition of her novel “The Birds on the Trees”, sitting on the green velvet armchair in her quiet study at the back of the old terrace where she lives next to the canal in Islington. Several weeks ago, I wrote a pen portrait of Nina Bawden to celebrate her nomination for The Lost Booker Prize of 1970 and now I am delighted to report that she has been shortlisted for the award, which will be decided by an online public vote closing at the end of this month. The author of over forty novels for both adults and children including the classic children’s book “Carrie’s War,” Nina Bawden has been shortlisted for the Booker Prize in the past but has not won, yet. This week, circumstances conspired to make it imperative to read “The Birds on the Trees,” which has just been reprinted by Virago, and I was grateful for the excuse to stop everything, sit down in a quiet corner, open a copy and write you a report. There is a vivid eloquence to Nina Bawden’s prose style. She writes such beautiful sentences and in “The Birds on the Trees,” they draw you in at once to the web of stories woven around her central narrative of a family accommodating to their wayward son Toby, who rejects their aspirations for him. Maggie and Charlie, a novelist and a journalist, are of the first generation after World War II who achieved professional success, exceeding their parents, and now are baffled to discover in the nineteen sixties that their teenage son does not share their ambitions and values. They cannot understand why he grows his hair long and does not want to go up to Oxford. The crisis created by Toby’s expulsion from school for possessing drugs forms the substance of the novel but I do not think it is the subject. The narrative of the repercussions of his mild long-haired rebellion is consistently interrupted by interior monologues, revealing discord spanning three generations of the same family. In each case, we are party to the mind talking to itself. The characters recount their stories, both as a means to understand who they are and in order to persuade themselves of the veracity of their own point of view – attempting to make the elusive nature of their experience more concrete. As these stories accumulate, their emotional import grows and deepens, but I could not say who was living in the real world. Yet there is a luminous beauty to this writing, that is full of acute personal detail, attempting to trace an intricate and diaphanous web of self-deceits and justifications. Nina observes the tragically comic self-consciousness of the liberal intellectual bourgeoisie with sympathy and humour, and without ever allowing herself to be wiser than her characters. The simple irony is that the one with the strongest grasp of reality, who uses words for their real value, is Toby, the boy being taken for psychoanalysis. It becomes apparent to the reader that Toby’s situation is some kind of judgement upon everyone else, and it does not permit you to read dispassionately. This is the question the book asks, and it is the same puzzle that obsesses the characters too. 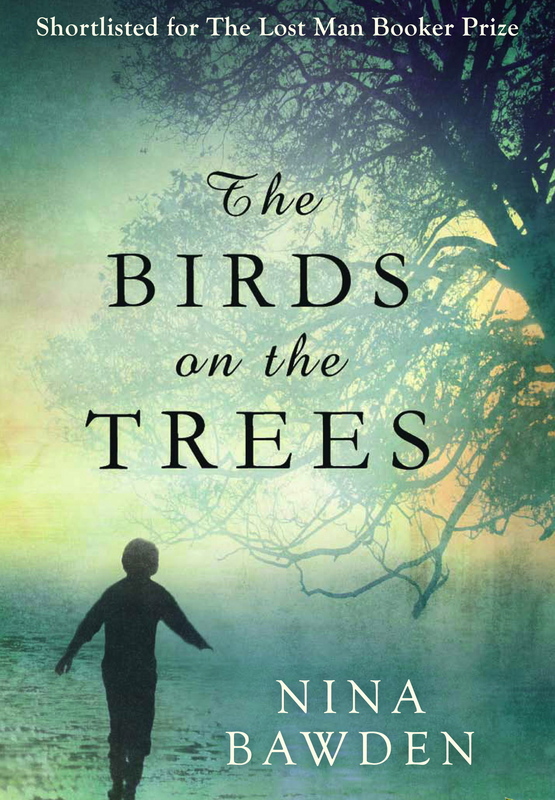 I cannot detach the novel from the story of Nina’s own family and her son Niki who experienced mental illness and problems with drug addiction in adolescence, taking his own life in 1982 at the age of thirty-four, twelve years after “The Birds on the Trees” was published. The most extraordinary sequence in the book to me, is when Maggie’s best friend calls to break the news that Toby is a heroin addict. After the phone call, in one of the most emotionally naked pieces of prose writing I can recall, Maggie walks into the boy’s empty bedroom and sits alone with her grief. The real events give the book an unavoidable poignant quality, especially because the novel ends on a note of hope, when Toby prepares to run away. “The Birds on the Trees,” brilliantly evokes the brittle reality of a class of nineteen sixties liberal intellectuals that feels as historically remote as Virginia Woolf’s or Marcel Proust’s world does today, but more than this, the novel stands as an enduring exploration of how we all create personal myths to bind ourselves to existence, and the tragicomedy of family life that ensues when the stories do not match up with each other. If you read my portrait of Nina Bawden, then you will know that Nina is a both a friend and a personal inspiration to me. She became a heroine when she stood up to fight for compensation for the survivors of the Potters Bar rail crash of 2002 in which her husband Austen was killed and Nina herself was cut from the wreckage at the point of death. I think that anyone who can endure the London blitz, write more than forty novels, survive a train crash at a hundred miles an hour, then take on the rail company and win, and still be in good form today at eighty-five deserves a prize. So I am asking you to vote for Nina Bawden to win The Lost Booker Prize by clicking here. Very happy to vote for Nina and have done so. Best of luck to her. So have I. Both the pieces you wrote about Nina very fine.